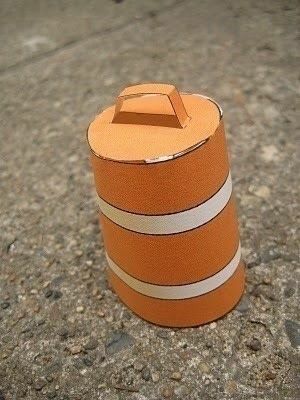 ID Mommy Projects: FREE DIY Road Construction Playset! 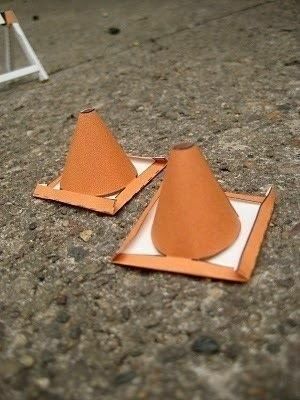 It's a rainy day here in Minneapolis, so I thought this would be a good opportunity to share this rainy day project for you and the kids! 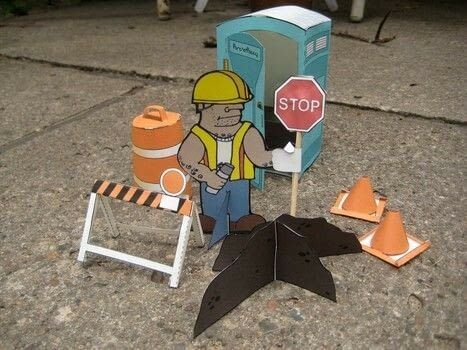 The other day I came across this great website where you can download free patterns to cut, fold and glue into cute paper toys. 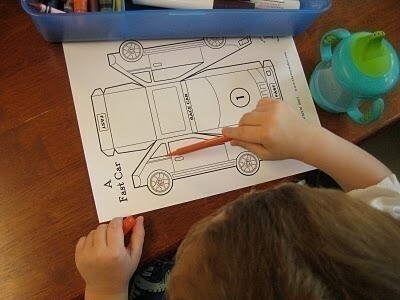 I printed out a car for Sammy to decorate. I have both a color and a black-and-white version for your downloading pleasure, just in case your child would like to decorate the pieces with whatever lovely colors their little hearts desire. I know, I know, it's missing other vital pieces, like the trucks and bulldozers (Sammy already has plenty of trucks), the "right lane ends" and "detour" signs, and a worker who's actually doing some of the work and not just holding his thermos and a sign. But come on people, what do you want from me...it's free!! Heck, at some point I had to stop working on this and go back to taking care of my kids and doing actual paid client work. So, this is all you get. 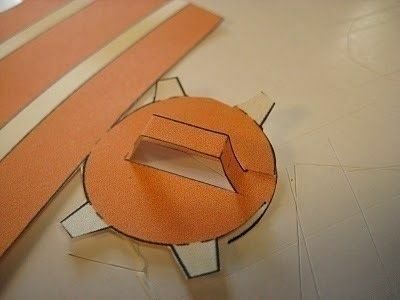 Okay, fine, I'll give you a little more...here are a few tips for building this and other paper crafts you might try! 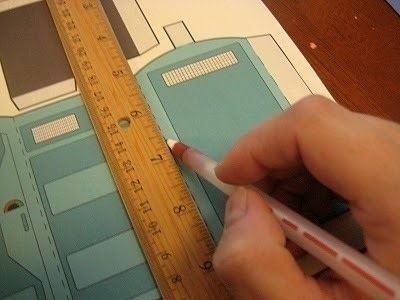 Trace over all of the dotted lines (places you'll fold) with a ruler and something pointy before you cut it out. You want to put a "dent" in the paper along where the folds will be. It'll make the folds bend more easily and stay nice and straight. I find a dried up ballpoint pen works great. 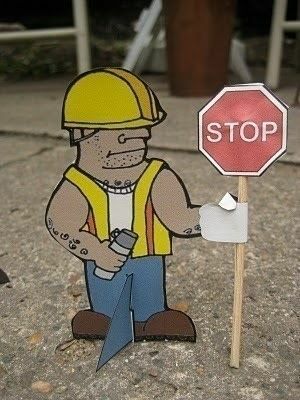 Do this BEFORE you cut anything out. Use an X-acto knife for the inside cuts, like this toilet seat. You'll avoid the gigantic hole your scissors will make. Also, if you're cutting pieces out of the middle of a pattern, it's easiest to cut these out first, and cut out the overall outline last. It'll prevent tears in delicate places. 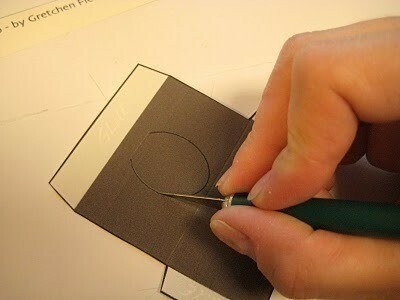 Use the scissors for the outside edges. 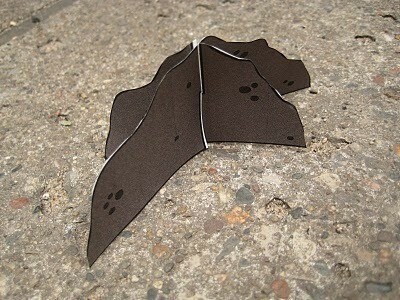 If you do a lot of paper folding, invest a few bucks in a bone burnisher. (it's not for burnishing bones...it's MADE out of bone.) You can probably get them at most craft stores now that Martha Stewart has introduced them to the masses...I got mine in a graphic supply store back in college during my first major of graphic design. 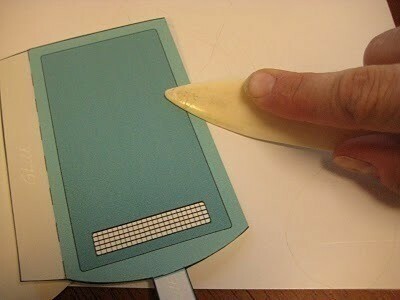 You use it to rub along the edges of your folds to make them nice and sharp. I find the plastic handle of my scissors works just as well when I can't find my tool. The thicker the paper you can print on, the better. If you don't have thick paper, you can always glue the whole thing to something thicker like cardboard, or a second piece of paper. 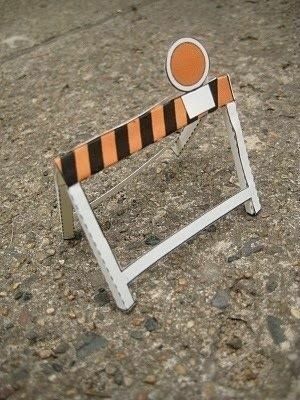 It'll make everything more sturdy, and make the pieces like the worker guy stand up better. For pieces with slots that slide together, like this dirt pile below, the width of your slot should match the thickness of your paper because that's what is going to slide in. This is just printer paper so all I did was cut a single slit. If I were using cardboard, I'd cut it out a little wider like the pattern shows. Sammy's favorite piece, of course, was the port-a-potty. Or as we call them, "yucky toilet." 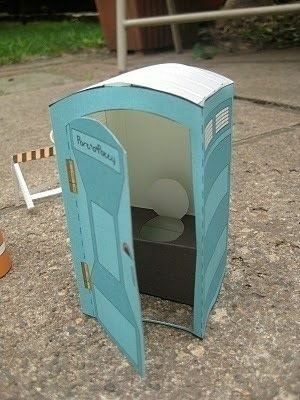 ;-) Maybe if I can craft a full size paper port-a-potty (or half-size toddler version) I could convince him to go #2 in the toilet. Just once. Please?! Rainy days don't have to be so boring...Have fun! !